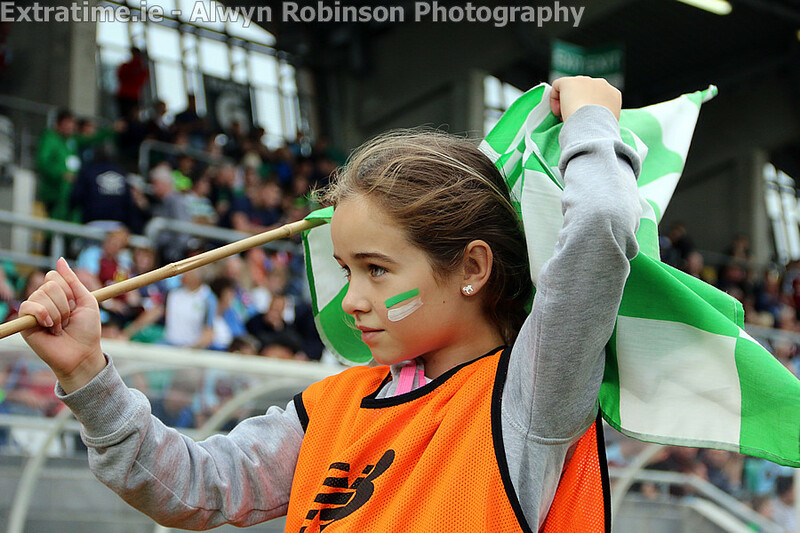 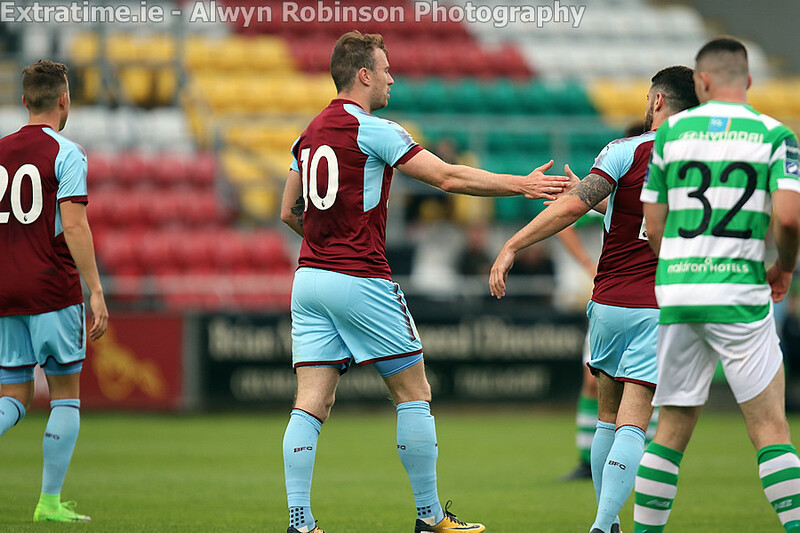 Goals from Irish internationals Robbie Brady and Jonathan Walters helped Premier League side Burnley to a 4-0 victory over Shamrock Rovers in Tallaght Stadium on Friday night. 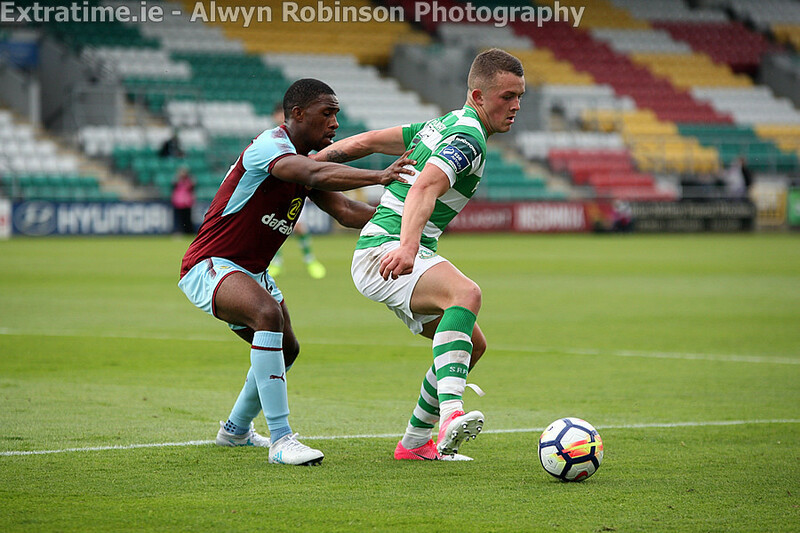 Unsurprisingly Rovers had made 11 changes from the side who played in the Europa League qualifier on Thursday, with a team mainly consisting from their u19 and u17 squads. 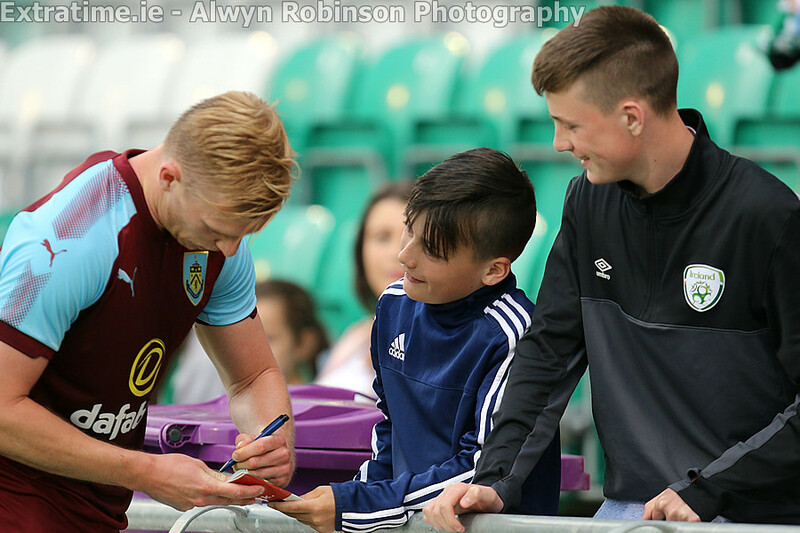 As for Burnley, the English side had a fairly strong line-up with three of their new signings players in Jon Walters, Jack Cork and Charlie Taylor on show. 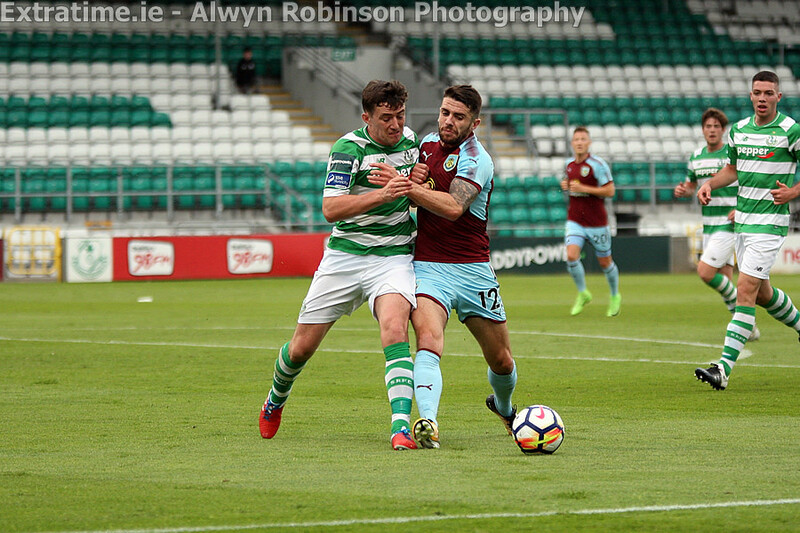 The opening goal of the game came just seven minutes in as a great through pass from Steven Defour went into the path of Irish International Jon Walters. 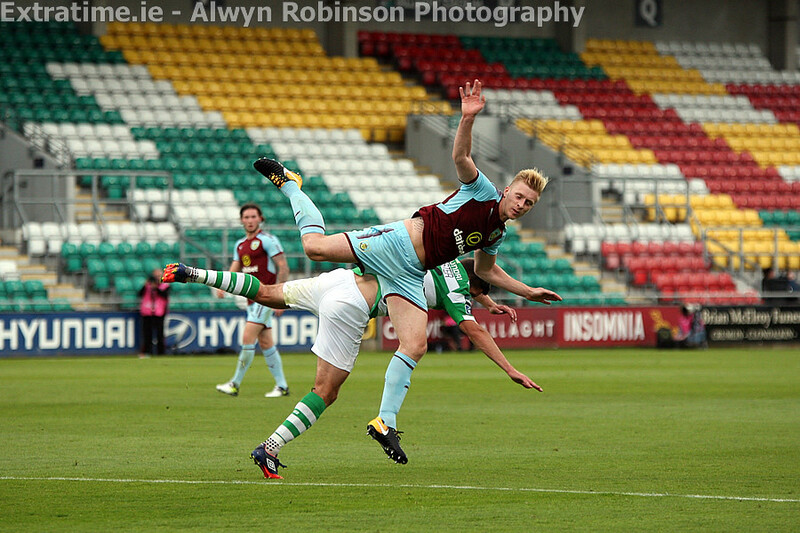 He calmly side-footed into the bottom corner past Kevin Horgan to put the Clarets ahead. 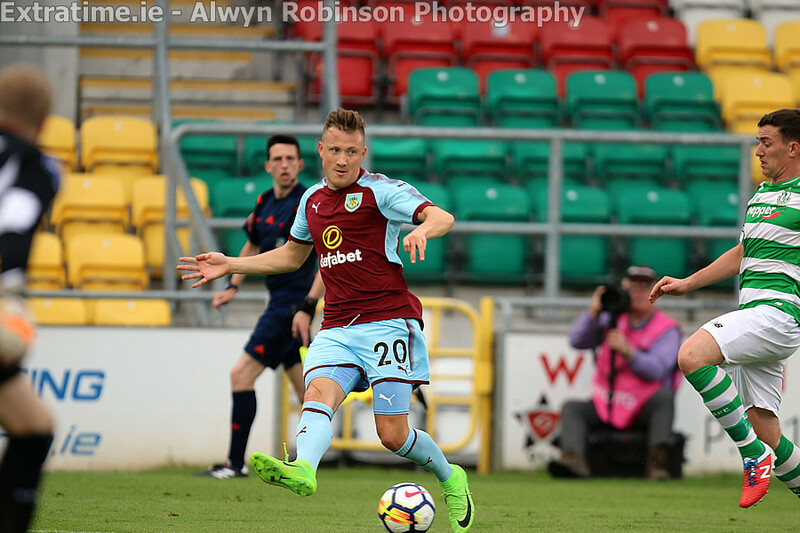 Minutes later Burnley came close to doubling their lead as a Steven Defour free kick was put into the front post and was flicked on into the path of Jack Cork. 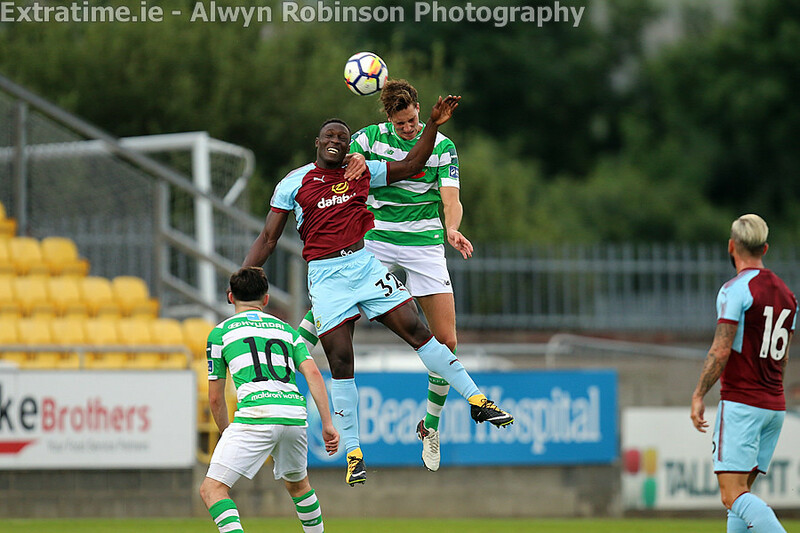 However the former Swansea player could not get the connection he wanted on the shot with his effort hitting the side netting. 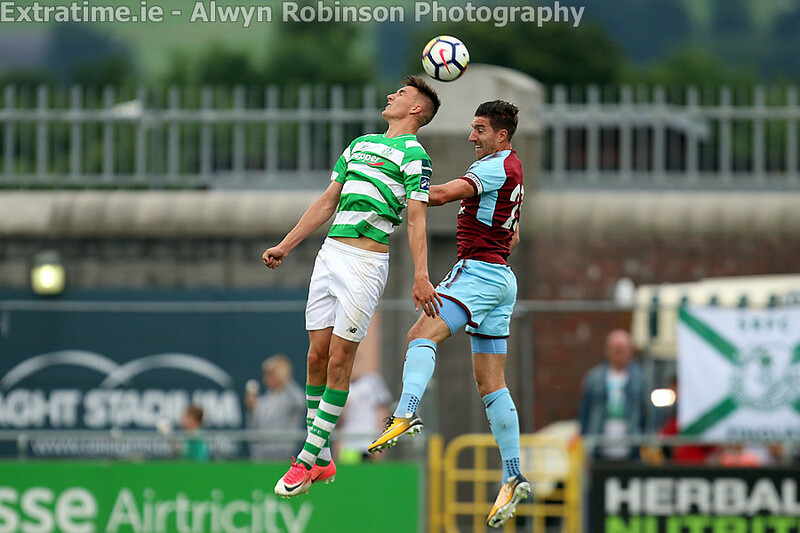 The Hoops were starting to settle into the game much more competing with the Premier League side and their first effort on goal came in the 20th minute as Michael O’Connor’s shot made Tom Heaton get down to his right to tip the ball around his post to keep the Clarets’ lead intact. 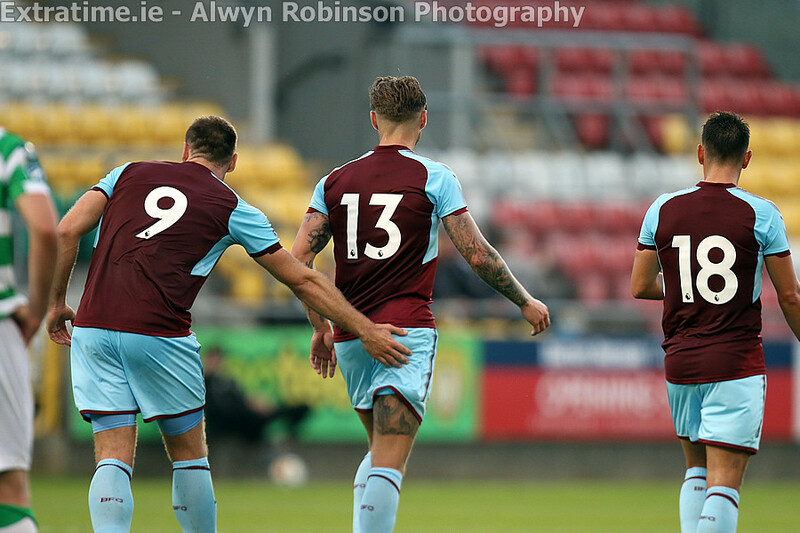 Burnley once again got a foot-hold on proceedings with Steven Defour putting in a fantastic cross from the right for Andre Gray, but his header just shaded wide past the post. 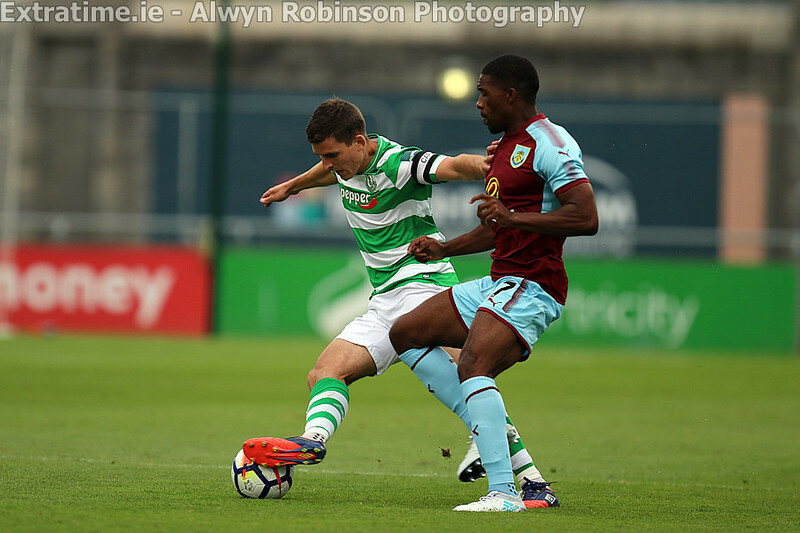 There were wholesale changes to the Burnley team at the break and the Clarets doubled their lead early in the second half a long ball over the top from Matthew Lowton. 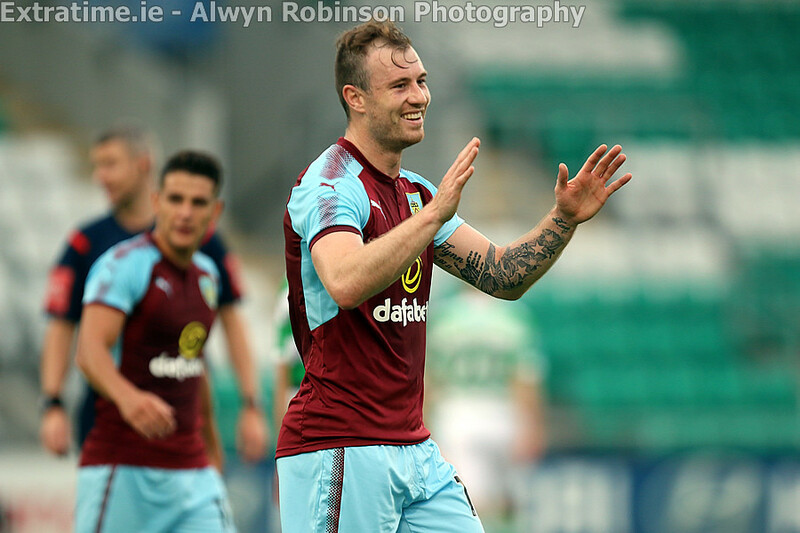 He played through substitute Ashley Barnes who took the ball down sublimely and was composed enough to bend the ball brilliantly past Horgan and into the bottom corner with his right foot. 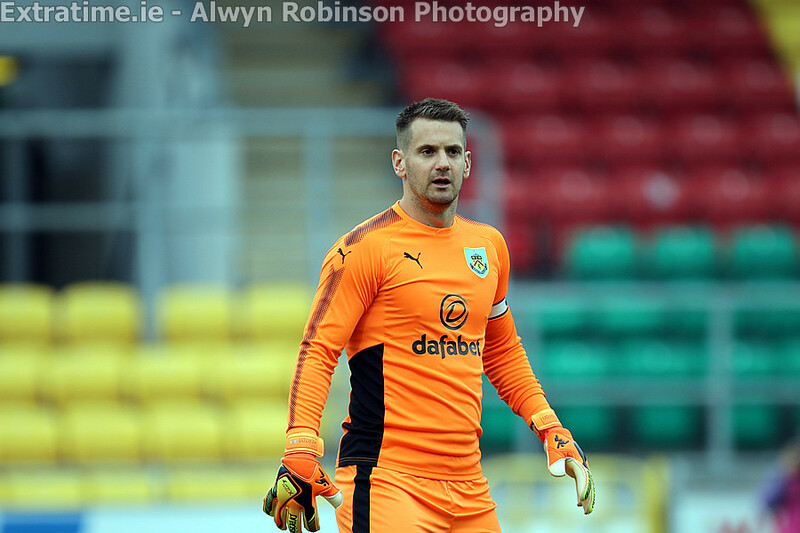 At the other end O’Connor then hit a tremendous effort on the volley from 35 yards out leaving Nick Pope scrambling back towards his own goal before pulling off a tremendous fingertip save in the process to tip it over the bar. 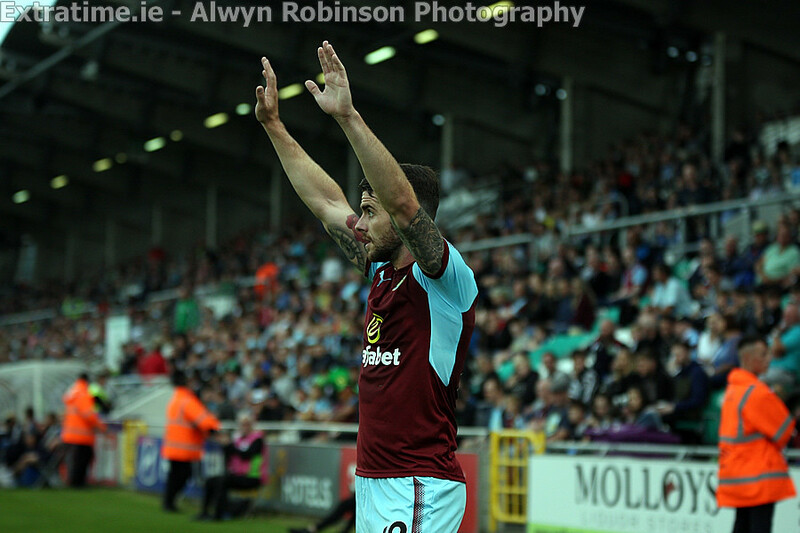 Irish international Robbie Brady soon after added a third to Burnley’s tally after a low cross from the left hand side fell to him on the edge of the box. 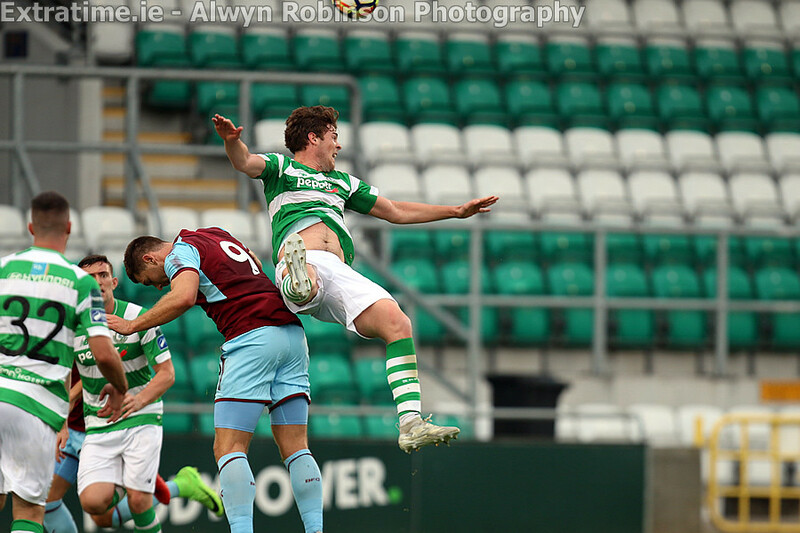 He cooly took it past Hoops defender Sam Bone to slot the ball home with his left foot. 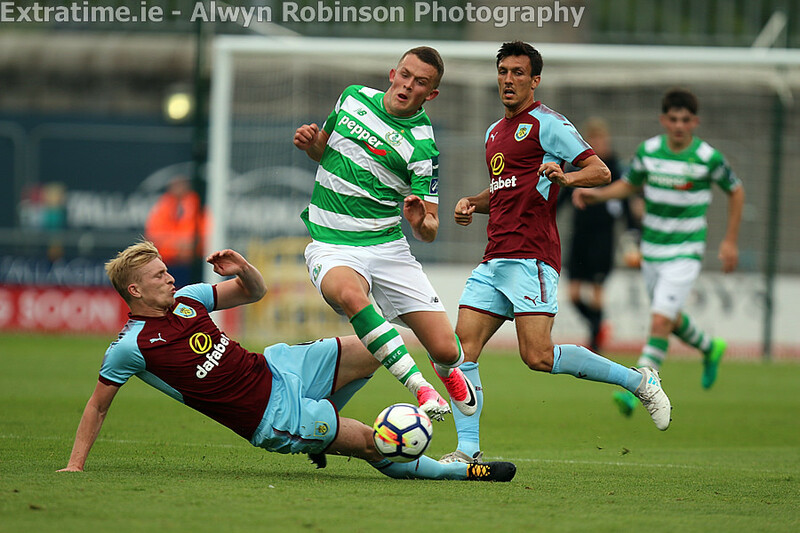 The game was starting to become routine for Burnley as they were really starting to dominate the game holding possession of the ball comfortably with Brady and Steven Ward being the main threats on the left hand side. 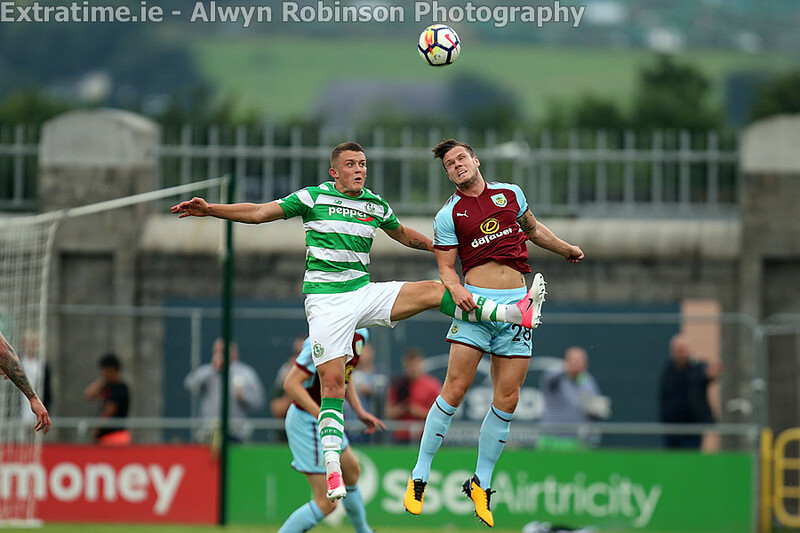 A fourth goal was added from Burnley three minutes from time as another Irish international Jeff Hendrick stuck the ball from 30 yards out. 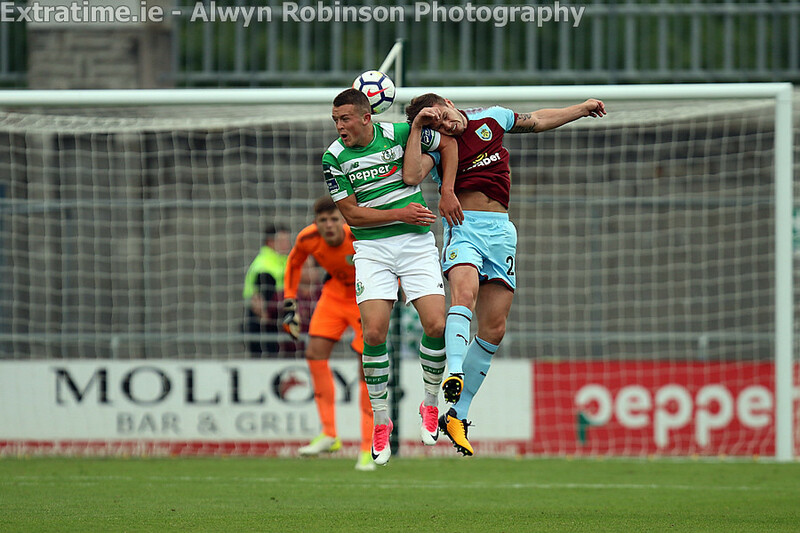 Unluckily for Rovers it took a deflection off Walesman Sam Vokes to deflect the ball past Kevin Horgan via the underside of the bar. 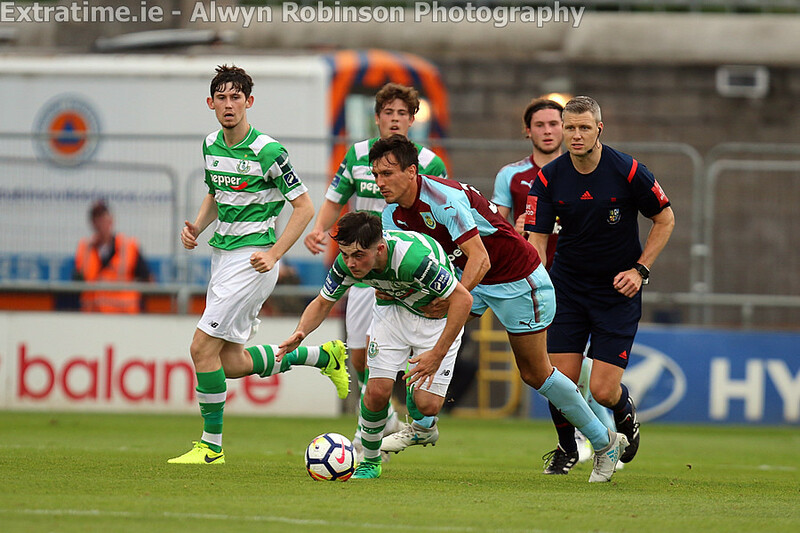 Shamrock Rovers: Kevin Horgan; Dean Carpenter, Tim Linthorst (Sean Callan 45), Sam Bone, Cian Collins; David McAllister ©, Richie English (Dean Dillon 61), Aaron Bolger (Harry Cornally 39), James Doona (Darren Clarke 61); Michael O’Connor, , Sean Boyd (Darragh Meehan 70). 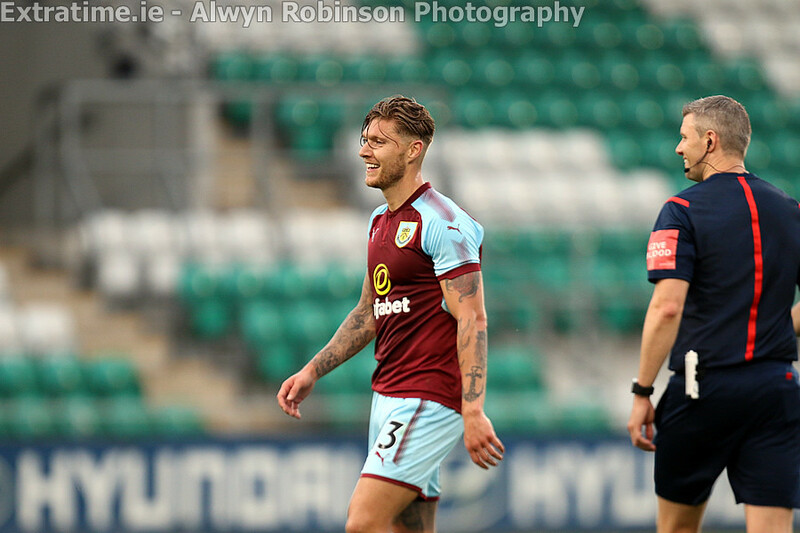 Subs not used: Fredrik Ulvestad.